Larsen Dwellings, Inc is a residential architecture company based in Columbus, Ohio. Its mission is to design and build elegant and functional spaces using dynamic architectural features that inspire comfort and creativity. 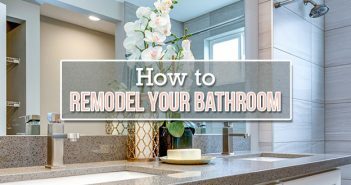 We were lucky enough to talk with Gerilyn Larsen, one of the owners, to learn more about the company and her advice on home remodels. How did Larsen Dwellings come about? The company started with a passion for residential architecture. Peter was on his first framing crew at sixteen years old. From there he went on to get a degree in architecture from the Knowlton School of Architecture at The Ohio State University. It was a natural progression to designing, renovating and building homes! If you want to read more about us please visit our about page at larsendwellings.com. As house designers, what is the most important thing when working with a client? Really listening to a client’s needs and wants is the most important thing. The second most important thing is balancing those wants and needs with their budget! 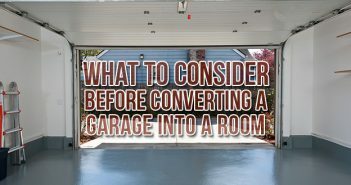 What are some of the biggest mistakes people make when upgrading their homes? One of the biggest mistakes homeowners make when upgrading their homes is not insisting on the contractor pulling the proper permits! Pulling permits protects both the homeowner and the contractor in the event that something goes wrong on the project. In the case of the house that we are working on right now, the permit process really helped with some difficult design decisions. Like where to put the staircase! What’s your favorite part of being a residential architectural designer? Our favorite part of residential architecture is helping people create their ideal space that truly works for the way they live in their home. It is fun to figure out the riddle that most homes can be. People don’t really need more space they need more functional space. Cutting subfloor so you don’t fall through! If you could give advice to a home owner who is starting a home renovation, what would it be? Research your options! Make sure to check all your contractors out. It is really hard to discover that you have hired a contractor that does not fit with you and your project. It is even harder to fire a contractor in the middle of a project and then scramble to find a replacement! 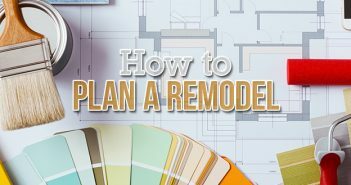 When home owners are going through the remodeling process, are there things they often don’t realize? Yes! Home owners often don’t realize how long a project should (and will) take. The permit process takes time as well as the design process. It is no joke that everything takes twenty percent longer than you expect and costs twenty percent more! When working at a residential location, is proper waste removal an important part of the process? Yes, proper waste removal is very important. One of the biggest sources of stress to a homeowner during a renovation project is the mess in their home. Using a company like Budget Dumpster greatly reduces this stress by containing the mess and debris and hauling it away in a timely manner. It also saves money by reducing trips to the dump. What do you hope to accomplish in the future with Larsen Dwellings? We hope to accomplish many things! We hope to save historic property. We want to contribute to the neighborhoods in our city. We want to design and build creative, sustainable and beautiful homes. We love Columbus!